On November 13th 2005, Eddie Guerrero sadly passed away. It was tragic to see Eddie taken away from us. Particularly for me, as Eddie was probably my favorite wrestler when I first started watching wrestling. But what I’d like to explore is how Eddie Guerrero would, or maybe should, have been booked if he would have been still alive. More specifically, what would be the road to Wrestlemania 22 be like for Eddie Guerrero? Now, there are already TWO different ideas about what would have happened to Eddie Guerrero if he had not died when he did. The first idea actually came from Stephanie McMahon. Stephanie famously stated that in the upcoming edition of SmackDown!, Eddie was supposed to win the World Heavyweight Championship from Batista developing the storyline between those two which had started around September 2005. I believe it was actually promoted for that edition of SmackDown! that it would be a triple threat between Eddie, Batista and Randy Orton for the belt and according to Stephanie, Eddie was supposed to win the belt that night. Either way, it’s a win-win scenario for the WWE universe. If you believe what either Stephanie or Court said, the future was bright for Eddie Guerrero. At Wrestlemania 21, Eddie Guerrero lost to Rey Mysterio. Eddie’s “jinx” in matches against Rey Mysterio was still in tact and Eddie was getting frustrated. Tensions between the two begin to rise, particularly after they lost the WWE Tag Team titles to MNM. After “burying the hatchet” the two invoked their rematch clause for the tag titles. However, Eddie didn’t lay a finger to help Rey as MNM beat Rey down. Rey eventually slapped Eddie stating “You don’t want to talk? Maybe, you’ll fight”. During a street fight between Rey and Chavo Guerrero, MNM did a run-in. Eddie eventually made the save for Mysterio, but then turned on his tag team partner. Rey and Eddie finally began their feud which began with Eddie getting himself disqualified against Rey at Judgement Day. Eddie then began holding a “secret” over Rey’s head, mentally messing with Rey and his son Dominic. Eddie promised to keep his mouth shut if Rey beat him at The Great American Bash. Rey got the win, but Eddie was not a man of his word. Eddie went on to reveal that Rey was not Dominic’s son, and that it was Eddie that was Dominic’s “papi”. The feud eventually led to Rey beating Eddie in a ladder match at Summerslam to win custody of Dominic. Eddie finally ended the feud after beating Rey in a steel cage match on SmackDown! Following his feud with Rey, Eddie was named number one contender to Batista’s World Heavyweight Championship for No Mercy. Eddie claimed to be “new and improved” and that all he wanted to be was Batista’s friend. Batista was suspicious but befriended Guerrero. After teaming up together in a few tag team matches, it seemed that the two had formed some form of respect. During their title match at No Mercy, Eddie had the opportunity to use the chair against Batista to help him win the title. However, Eddie changed his mind which led to him losing the match. Now it seemed that Eddie and Batista was now truly friends with Batista respecting Eddie’s decision not cheat his way to the title. It even led to Batista and Eddie riding a low-rider together to the ring on SmackDown! Batista and Eddie also secured spots in SmackDown!’s Survivor Series match against Raw. However, Eddie was still hungry for another title shot. Eventually, a triple threat match for the World title was made for SmackDown featuring Eddie, Batista and Randy Orton. Before that though, Eddie would come out to his old theme song one last time and truly be himself one last time in a match with Mr Kennedy. After that episode of SmackDown!, Eddie passed away. Now what’s really sad is that after Eddie’s death, looking back, is that it’s pretty unclear what was going to happen with the Eddie Guerrero vs Batista storyline. Eddie was white-hot at the time and the fans truly took to Eddie as a good-guy again. Was Eddie really going to turn on Batista for good? Was Eddie in-fact supposed to win the title on that next edition of SmackDown!? 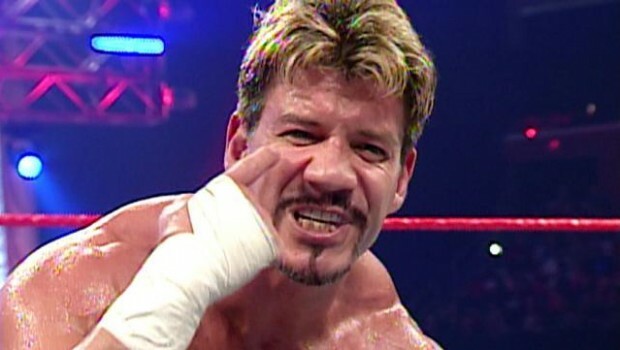 Could Batista maybe have turned on Eddie after seeing the fans rally behind Guerrero? The possibilities really were endless from this point. But for this first scenario, let’s go with the idea that Eddie was supposed to win the championship the next week on SmackDown! How would we book him from then on? I think Eddie WOULD have turned heel once more to win the title. As it would have made sense for Eddie to win the belt cleanly and have him be a good guy once again, it seemed more likely that Vince was going to have Eddie turn heel once more rather than someone like Batista turning heel to bounce off face Guerrero. However, I do think Eddie winning the title THAT particular night causes a bit of an issue for me. Leading into the SmackDown! vs RAW Survivor Series match (which both Eddie and Batista were to be a part of) a World Title change leading into this huge multi-brand storyline would seem to be a bit weird to me. It would make more sense to have Eddie’s title win and his turn on Batista to be built up a bit more first. Having the win take place on SmackDown! isn’t as financially appealing then possibly having it done at SmackDown! PPV Armageddon? If I were to have Eddie win the title any day, it would be then. So how do we build to that title change. Firstly, you have to build to the SmackDown! vs RAW match. On SmackDown!’s side, we would build up the tensions between Eddie and recent rival Rey Mysterio. Remember, Rey Mysterio was also part of that team at Survivor Series. So surely tension or mistrust between the two would start to take place. It would eventually lead to something like, on the SmackDown! before Survivor Seriesm, Eddie saving Rey and the two of them shaking hands. Now to Survivor Series. Eddie would screw over Batista and help Team RAW win. Eddie would again be heel and he would be the top heel on SmackDown! Why’s that? Because he’s just screwed over Batista in SmackDown!’s crucial bragging rights match against RAW. All the SmackDown! locker room would despise him. Batista would want revenge. Somehow, Eddie would get another shot at the title at Armageddon which he would win. Eddie’s feud with Batista would wrap up at the Royal Rumble, with Eddie retaining the title somehow in like a Last Man Standing match or something. I personally believe that Triple H on RAW should have won the 2006 Royal Rumble. I believe the timing was right for the King Of Kings to go back on his throne and I was kinda annoyed when he didn’t win the rumble. However, for this storyline, let’s just give a SmackDown! superstar the win! I wouldn’t have Mysterio win the match. Nothing against Mysterio, but Mysterio and Eddie would have wrestled enough at this point. They were feuding for the majority of 2005. So I’d have Eddie go one on one… with the Undertaker. I feel of everyone in the roster, Undertaker was the only other wrestler on SmackDown! that would have been ready enough to challenge Eddie for the World Title. Batista and Rey had both had feuds with Eddie, I’m not sure about guys like Chris Benoit and Bobby Lashley at that moment. I think Undertaker would be the most ideal choice. Also, a feud between those two would have definitely been great to see. It would be promoted as “Title vs Streak” and Eddie would have promised to end the streak, but Taker would go over and win the belt. And that would wrap-up Wrestlemania 22 as the main event. And that’s about it for this particular scenario. I truly believe that if WWE would have had Eddie win the World Title around that time, Eddie should have went all the way to Mania as the champion. And who better to end the title reign of Guerrero at Wrestlemania than the Undertaker? Plus with the styles of Undertaker and the heel Eddie Guerrero, you would be getting an incredible storyline with a high quality main event. It’s fair to say that Brock Lesnar’s not exactly had a huge range of wrestlers to work with. Considering his lack of bookings, you’d think WWE would want to have Lesnar work with as many people and as many new talents on the roster as possible. Brock Lesnar vs Sheamus, or Brock Lesnar vs Cesaro, or Brock Lesnar vs Ryback, or Brock Lesnar vs Bray Wyatt, or Brock Lesnar vs Dean Ambrose. The possibilities are endless. If you want Brock to truly stand out as a dominant force in WWE, have him go through and destroy… EVERYONE. So it’s just a shame that Brock’s list of matches since resigning in 2012 has included FOUR matches including John Cena, Big Show and the Undertaker… all of whom he’s feuded with before. Brock should be given the chance to try something new and challenge somebody new. His match with CM Punk at Summerslam 2013 was exceptional. Brock and Seth Rollins did some amazing work during the triple threat involving Cena at Royal Rumble. Even with Triple H, Lesnar had a challenge and their matches weren’t TOO bad, Brock wanted to comeback and wrestle new stars, not the same old people he feuded with a decade ago. So why not give him an interesting feud with somebody that’s just as natural-gifted as him? Why not give him a feud with somebody who’s coming off a white-hot face turn? Why not book him… against Randy Orton? Now this is a match that has been thought up of and dreamed about by fans around the world. It’s one of the dream matches that we’ve never really seen go down…. OK well that’s a lie. It’s happened once! Once upon a time, the young rookie Randy Orton challenged the new Undisputed Champion Brock Lesnar for the title on SmackDown! That was in 2002 and a lot has happened to both men since. Both men are now MEGA STARS with years of experiences and at their best, are REALLY good workers. It would make great sense to have these two throw down. It’s pretty unbelievable that since 2012, this match hasn’t been done before by WWE. It’s pretty much right up Vince McMahon’s ally. There’s been talk of these two having a match before at Summerslam 2012 but it was scrapped and WWE decided to go with Lesnar vs Triple H.
First, when Triple H was trying to get Brock to stay with WWE on the night after Extreme Rules 2012. Triple H ran down a few potential dream matches that the fans wanted to see Brock compete in including matches with Sheamus, CM Punk and yes… Randy Orton. Secondly, on the night after the 2014 Royal Rumble, Paul Heyman suggested the match to RAW General Manager Brad Maddox, with then WWE World Heavyweight Champion Randy Orton putting the title on the line. And it’s not like there’s a lot WWE needs to do to bring these two together. With Seth Rollins being the WWE World Heavyweight Champion, these two surely should be heading on a collision course. Let me just break off into a scenario in which I think could work as a means to bring the two together. Yep, this article just turned into another “How I Would Book”! 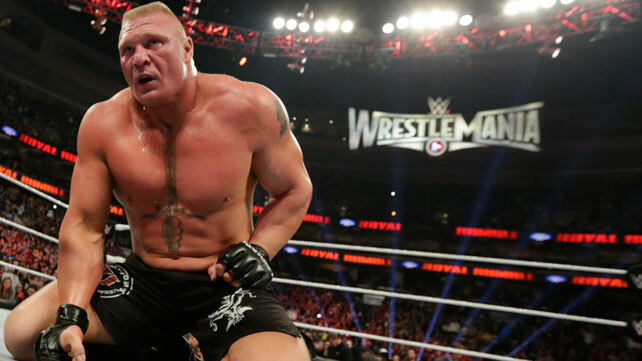 At the moment, Brock Lesnar is “suspended” at WWE but is still owed a WWE World Heavyweight Championship match. Most likely, he will get this title match at Summerslam. For Brock’s title match to truly have a strong build within the context of the story, Seth Rollins NEEDS to be the champion walking into that event. I’ve seen a few articles talk about Randy Orton WINNING the WWE World title at Payback and going on to fight Brock Lesnar. That’s fine, but doing that would lead to Seth Rollins falling into obscurity, at least in the short run, while Lesnar fights Orton. You could go with a triple threat between Orton, Lesnar and Rollins at Summeslam, but I think the problem with his is simple. Brock’s already been involved with a triple threat match with Seth Rollins this year at the Royal Rumble. Technically, he’s been in TWO triple threat matches with Rollins as the Wrestlemania main event turned into a triple threat. We really want to get away from booking the same main events over and over. 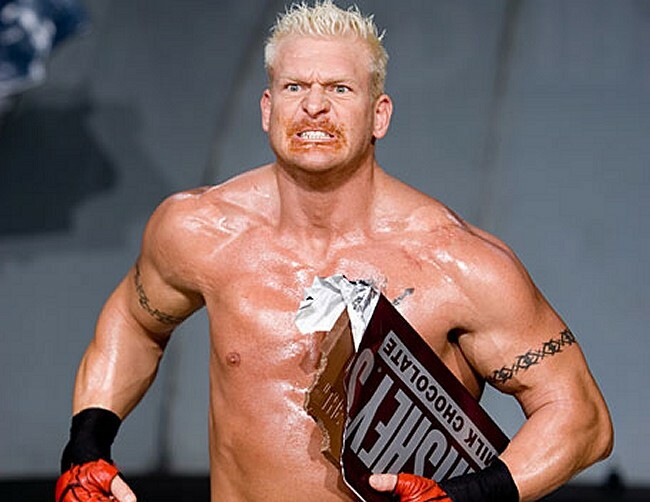 Randy would do something that inadvertently costs Lesnar the match. This of course, would make Lesnar want revenge. And when he comes back just before Survivor Series, Brock would target Orton. And it’s as simple as that! This is exactly the type of match WWE would want be a TOP PPV match for an event like Survivor Series. This is the type of match Vince McMahon would be ecstatic with. Two natural-gifted workers with great physiques that could come together sooner than you’d think with little explanation needed. Thanks ToxHLRules for the awesome video highlights. 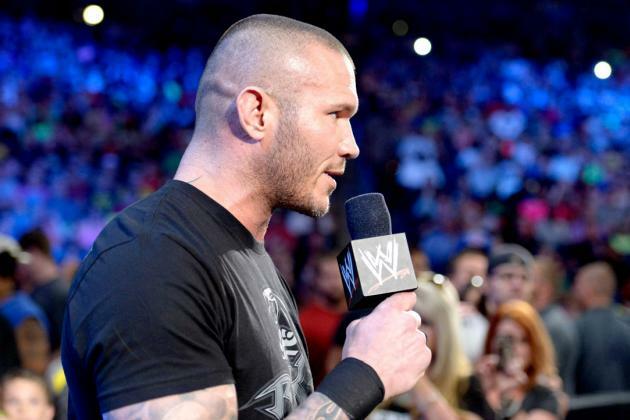 I really did like this feud between Roman Reigns and Randy Orton. There was that great amount of intensity that made this short feud really worth while. You’ve got the venomous viper against the cold soft-spoken badass Samoan. If you put them together, you’re in for a treat. Although Orton lost, he still looked strong coming off of it. He put on a great performance against Reigns that night. I remember the Spear reversed into the powerslam and the spear into the RKO as two examples. Those two spots, when I saw them live, really had me on the edge of my seat. The two wrestlers just played off each other so well and when you’re on the outside of a major storyline involving Cena, The Authority and Brock Lesnar, it’s hard to make yourself noticed. You have to take a backseat as obviously everybody is interested in Lesnar and Cena. Also, there was a huge interest in Seth Rollins vs Dean Ambrose too. But these two really blew if out of the park at Summerslam and I’m really annoyed that the feud finished so early as it had so much left in its tank. Maybe they were planning to come back to it if Roman hadn’t gotten injured. I don’t know. However, if the purpose was just to provide a short but exciting program that could elevate Roman Reigns… WWE did a hell of a job. This would totally be my entrance if I ever became a WWE wrestler! The Beat Down Clan – Have They Proven Their Worth? The Beat Down Clan is one of those stables that have always caught my attention when watching TNA. It’s no secret that TNA has produced an insane amount of stables over the years. I’m just going to spout of a list of them now for you. The group Christy Hemme lead in 2007. I can’t remember their name. I put the Aces And Eights at the end because I wanted to outline something. TNA have done A LOT of stables over the years. Some they just threw together, a lot of them done just to give whoever the heel champion at the time is a group to have his back. The Christian Coalition and the Angle Alliance even have the leader/champion in the name of stable! If you think about it, only the Aces And Eights has been the stable with the most longevity in TNA’s history and has had the build up to make the stable actually mean something. TNA had a plan with the Aces And Eights storyline and stuck with it. It’s the only one that TNA fans remember as being a standout stable in the company because at the time, the TNA writers knew what they were doing. On the other hand, the Beat Down Clan, at first, felt like just another stable to aid whoever the heel champion was. MVP was going to win the championship from Eric Young initially, so giving him Lashley and Kenny King to back him and solidify his reign just seemed TNA’s way to hype up their new heel champion. Then MVP got injured and Lashley won the title instead. MVP getting injured and Lashley winning the title expanded Lashley’s role in the stable. Lashley wasn’t just the big, strong bodyguard for MVP as I feared he would became. He stood out on his own as a dominating champion with MVP singing his praises. It changes the dynamic of it as the leader of the group ISN’T the champion. It’s rare but it worked. Lashley stood out on his own as a legitimate athlete that destroyed everyone in his path. The funny thing is that from when the stable was formed in June 2014 until the end of that year, the group didn’t even have a name! It wasn’t until January of 2015 when they were actually christened the Beat Down Clan when they actually had an identity. Not really much of a hindrance towards the group but it just amazed me how the writers never gave them a name for about six months! However, things change dramatically for the group at TNA’s first Destination America Impact. When Lashley won the title, Eric Young, Samoa Joe and Low Ki all joined the faction! Lashley would then leave the group himself a few weeks later! Not only did the group increase in numbers but they also lost their most prominent members. I’ll admit that Lashley leaving was done rather well. 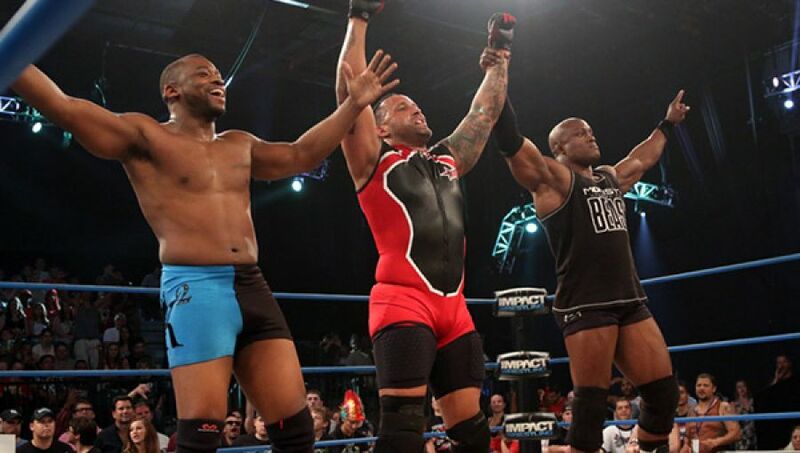 Despite losing someone like Lashley, who was white-hot at the time, the Beat Down Clan still looked as strong as when he was there now they had wrestlers like Joe and Eric Young aligned with them. They don’t look strong in the way that they’re planning on taking over the company. That’s not their goal. Their goal is to show their supremacy by beating down anyone that gets in their way and that’s what really separates them with the many TNA stables before them. Their goal is just to beat people up. That’s what makes them distinctive. However, with the stable now a year old, the question is whether they have much life in them as a group and how the disbanding of the stable is being planned to end. Hopefully in a way that makes up with the Aces And Eights storyline ending far later than it should have. This next statement may cause eyebrows to be raised and angry comments being posted, but I do need to say something. John Cena… is a damn good wrestler. The reason I started with that seemingly controversial comment is because this feud with Seth Rollins confirmed what I thought all along about John Cena. Cena is somebody that can step up and keep up with just about anybody on the roster. Even with the likes of Daniel Bryan, Cesaro and CM Punk, Cena’s been able to pull off some quality matches in the past with some of the best technical wrestlers in the business. You can chalk that down to wrestlers he’s in the ring with but it’s up to Cena to keep up to their speed and standards for the matches to be as effective as they are. That’s signs of a great worker. Now that’s not to say Cena can have great matches with EVERYONE. Few people can. Hell, remember his feud with John Cena that I discussed in an old blog post? If anything, the only person that I thought could do was Jericho until his feud with Bray Wyatt happened. But against some of the most advanced wrestlers in the biggest stages there is, no one puts in the work like Cena to make it as good as he can be. This is probably coming off as a Cena love-fest right now! However, I just wanted to point this out before I run down his feud with Seth Rollins, probably the best worker in WWE right now. With the potential a top main event match like this could have, it really boggled my mind why when Rollins and Cena feud last year, they never had a one-on-one main event PPV match? Yeah, they were opposing captains at Survivor Series, but that match was mostly about The Authority losing power more than anything. So the rivalry between Cena and Rollins wasn’t really focused on. 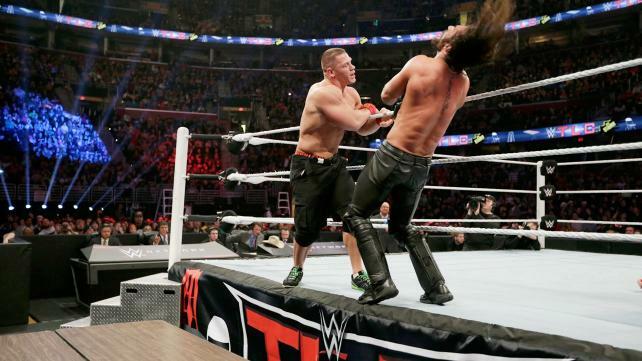 However at TLC, the two eventually squared off in a tables match with Cena’s WWE World title shot on the line. I was actually really looking forward to this match at the time. These two could have a very creative match and they certainty did. I remember during the TLC review, I said I liked the initial draw finish but now looking back, I really don’t. For those of you that don’t remember, let me break it down. The match goes on and then there’s a ref bump… during a tables match. 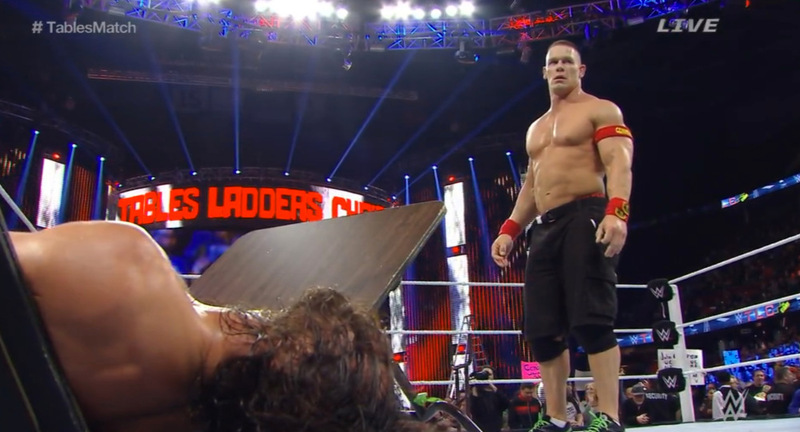 While this ref is down, Cena put Seth through the table with an AA off the top I think. But the ref is down, so apparently nobody is able to call it. They fight for a bit and then they both go through the tables on the outside at the same time. THEN, two referees and the original referee began arguing about who went through first. The original ref says screw it and restarted the match. After a while and the likes of Big Show and Roman Reigns interfering, Cena wins the match. Now let me just state that I liked the draw finish a great deal. But WHY didn’t one of the refs that came out to argue about the draw finish come out earlier to declare Cena the winner after he clearly put Rollins through the table initially? Other than that, the match itself is good. Great work by Rollins. A very creative match. I would recommend that you’d go back and watch this match. And that about wraps up this feud. I really wish this feud developed a bit more because it would have been more fitting and noteworthy if it ended at Wrestlemania or something. I’d love to see these two have one last blow-off match at the big dance. Cena going over also wouldn’t be the worst thing in the world as Seth would have cashed in Money In The Bank that night anyway! Also do check out DenkOps “What If” video related to this particular scenario. He does a great job illustrating the storyline with WWE 2K15 and do check that out below. In the last three parts, we’ve looked at a number of alternative main event matches for Wrestlemania 29. We’ve looked at scenarios like triple threat matches, CM Punk’s historic WWE title reign ending at the event and even Ryback walking out of the event. Now we’ve got to do ONE MORE scenario. And believe it or not, it’s actually an idea that the writers were toying with to end the show. There’s actually NOT a lot to say about this particular main event. CM Punk would be riding high at I think 500 days or so as WWE Champion heading into Wrestlemania. He is clearly the top heel in the company on top of his game, having beaten the likes of John Cena, Chris Jericho and Daniel Bryan. And with this theory, he’ll obviously go over The Rock at the Royal Rumble which makes his title reign even more historic. Like I’ve mentioned before, The Rock’s loss at the Royal Rumble would be caused by John Cena leading into their rematch at the same event. The only difference is that CM Punk and Undertaker would be for the title and NOT Cena vs Rock II. Undertaker on the other hand extended his Wrestlemania streak to 20-0 and may feel that he doesn’t have much else to prove. Then he sees Punk with his historic title reign and would seek to challenge. 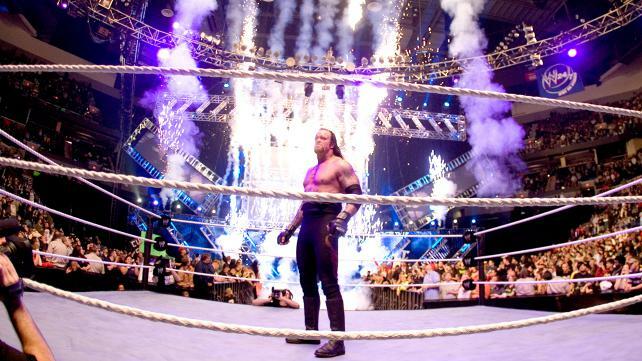 Eventually, we’ll get Undertaker putting up his undefeated streak against CM Punk’s WWE title. “Streak vs Title” has a nice ring to it don’t you think? Firstly, someone OTHER than Undertaker or John Cena would win the Royal Rumble match and challenge the World Heavyweight Champion, while CM Punk would retain his WWE title against The Rock. This would lead to CM Punk retaining the title to at Elimination Chamber but his celebrations would be cut short by the Deadman, who’d tombstone Punk and pose with his title. Undertaker or Punk would make the challenge for Mania and you have your match. Undertaker would return to win the Royal Rumble. 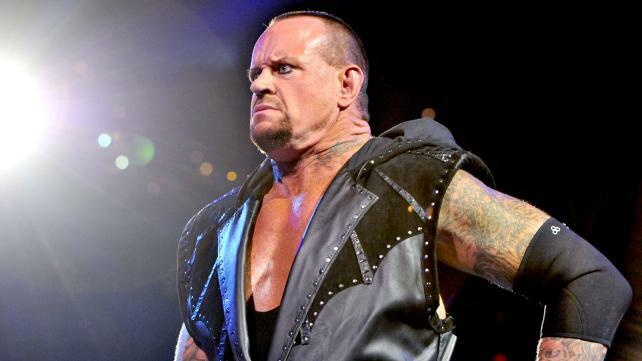 While from a business-standpoint, announcing Undertaker’s participation beforehand would be the ideal solution. However, with The Rock already being the main attraction of the card, promoting Undertaker would seem rather pointless. Hype up The Rock challenging for the WWE title and keep Undertaker a surprise. Plus, it adds to the mystique of his character by having him shocking the WWE universe in this manner. He’s the surprise #30 entrant or something and is part of the final three between himself, John Cena and Ryback. Ryback would eliminate Cena and Cena would look really down. He’s a lost a chance to potentially get his redemption back by beating The Rock after being eliminated Ryback. Cena goes to back knowing there’s only one way for him to get his redemption now. And of course, you know where that would lead to. Cena costs The Rock the title later on that night. But back to the Rumble, we’re down to Ryback and The Undertaker. I personally think the fans would be popping for this. Feed Me More Chants, Let’s Go Taker. There’s a lot going for both these for this final two to be even more impactful. These two clobber each other and somehow, Taker eliminates Ryback. I think that makes Ryback stand out even more than he did in the real Royal Rumble match of 2013. He’s just eliminated John Cena and it took the Undertaker of all people to eliminate him. But the end-game of all of this is having Undertaker go over. Punk retains later on and we’ve got our main event already set. What happens next? Now, it would be OK for Taker to be away from TV for a while. He shows up on RAW maybe and the first shots are fired between him or Punk. He chokeslams Punk or whatever, unsettling the champion. Punk is a little rocked by it, but he has to focus on the Elimination Chamber. Whether he’s in the Elimination Chamber or he’s in another match or whatever, Punk walks out the champion. 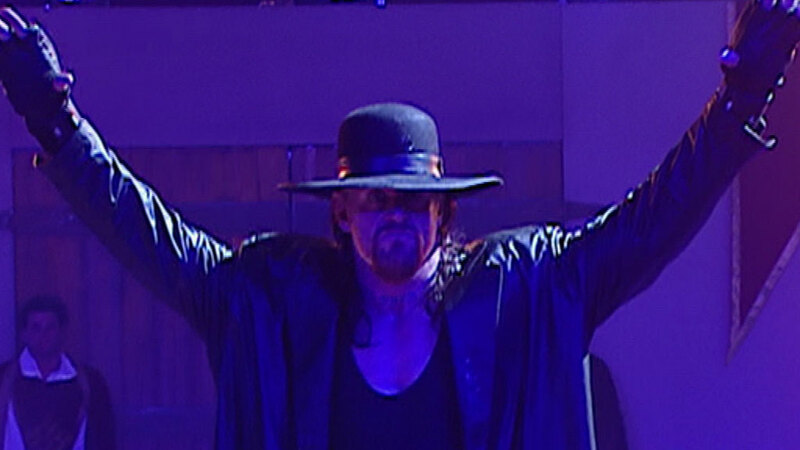 At the end of the night, Taker comes back to try and attack Punk. However, Punk reverses and hits the GTS. Punk had Taker scouted and it makes Punk looks just as strong as he’s ready for anything Undertaker can throw at him. I would ABSOLUTELY book Undertaker to win. For Undertaker it’s the good-feel Rocky Balboa like ending which sees the old-timer making one last comeback to win the WWE title from the seemingly unbeatable WWE Champion. However, there would obviously a bit of an issue with Undertaker winning the title. Undertaker’s not exactly in the best of conditions in this particular part of his career. Yeah he was able to do the matches with The Shield and Dean Ambrose later on in the month, but WWE now has a champion who’s unable to do a full-time schedule. Having Taker drop the belt back to Punk the next night on RAW would really take away from the Wrestlemania match in the first place if Punk is just going to win it back a day later. WWE could do what they would end up doing with Brock Lesnar and have the WWE title not be defended until an event like Summerslam. But five PPVs or so with the title NOT being defended really wouldn’t be great for business. I would go with having Undertaker dropping the belt to somebody ELSE at Extreme Rules and Taker leave after that. Not to dispute Punk’s claim for a title shot, but what’s the point in him winning the title again a month later after the longest title reign in the modern era? Also, according to Punk, he’s really banged-up post Wrestlemania. So with Punk taking time off anyway, you’d have to think of someone else that could win the title. I could go through an alternate scenario of if CM Punk WERE to break the streak, but I think I’m going to leave that for a future post and call it a day. That’s it for this particular series. Again, not to knock the Rock vs Cena II main event completely, but it really lacks the Wrestlemania-feel ending like the rest of these scenarios do. Whether’s it’s one more title run for Undertaker, the emergence of Ryback as the newest face of the WWE or the end of CM Punk’s historic title reign, these four hopefully provided a number of main events that would have been talked about a lot more than Rock vs Cena II. Do vote in the poll over what YOU think should have been the main event of Wrestlemania. And please comment or tweet @ArmbarExpress with your thoughts on this particular series! NOTE: The (c) in the poll below indicates who the champion walking into the match is. E.g. CM Punk (c) vs Undertaker would have CM Punk entering as champion.